An article which I read Here…left me speechless. 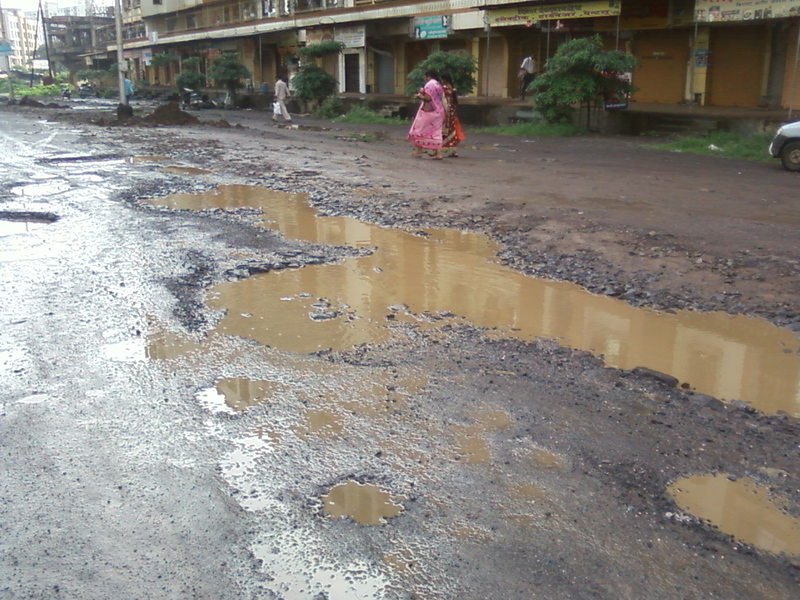 …Kalyan roads receiving the Best road award. 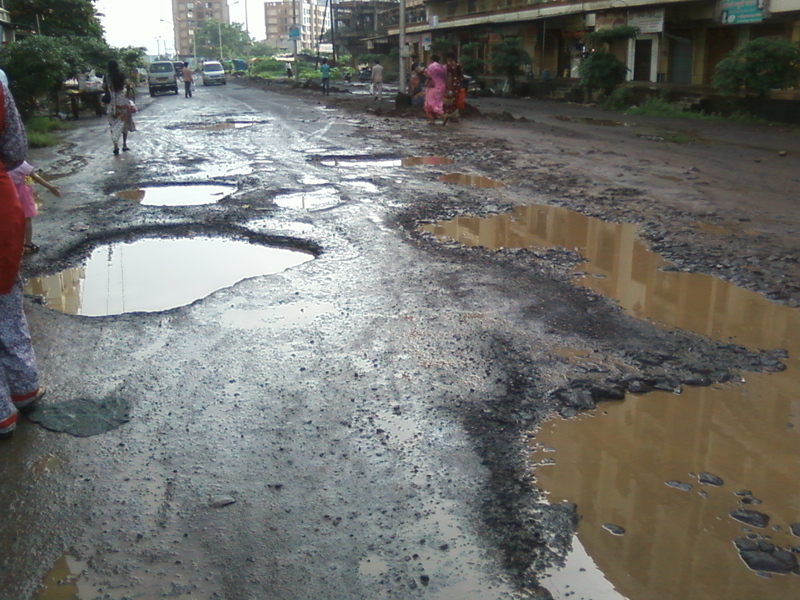 The roads in Kalyan are really pathetic. A five minute ride will leave you with a backache for ages. A mere 15 minutes distance takes around 30 to 35 minutes just because of the potholes in the road…or should I say…roads in the potholes. 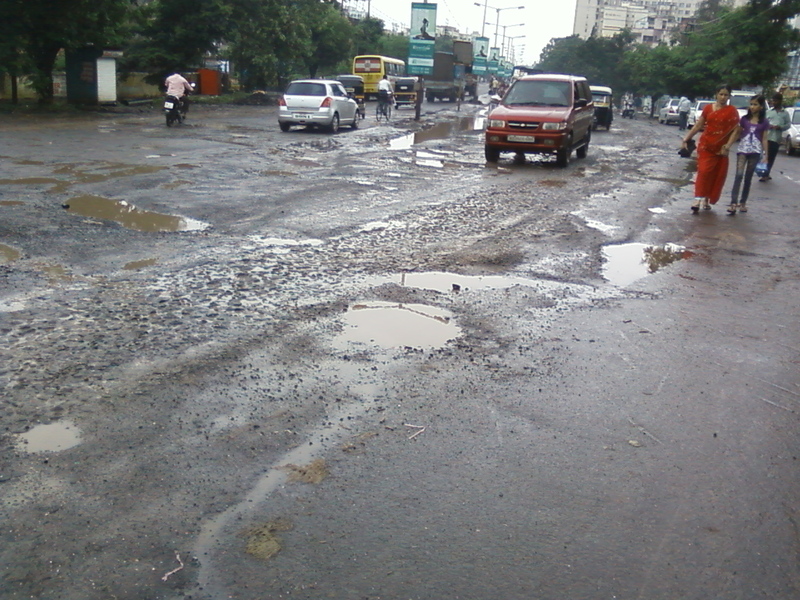 I am still surprised how come such a road can receive the national award…has the entire system become blind??? It’s become highly impossible for pregnant ladies to travel by these roads. I guess if a C-section patient is made to travel by a rick…she will surely deliver a baby normally…such is the condition of the roads. After I read the article…I clicked these pictures. Look at them …does it deserve an award? It’s high time the municipality took some action. Political parties fight amongst themselves…instead of concentrating on the solution. On one hand the number of cars is increasing every day…and on the other hand the condition of the road s is deteriorating. Everybody is busy filling their pockets and nobody is bothered about filling the potholes. 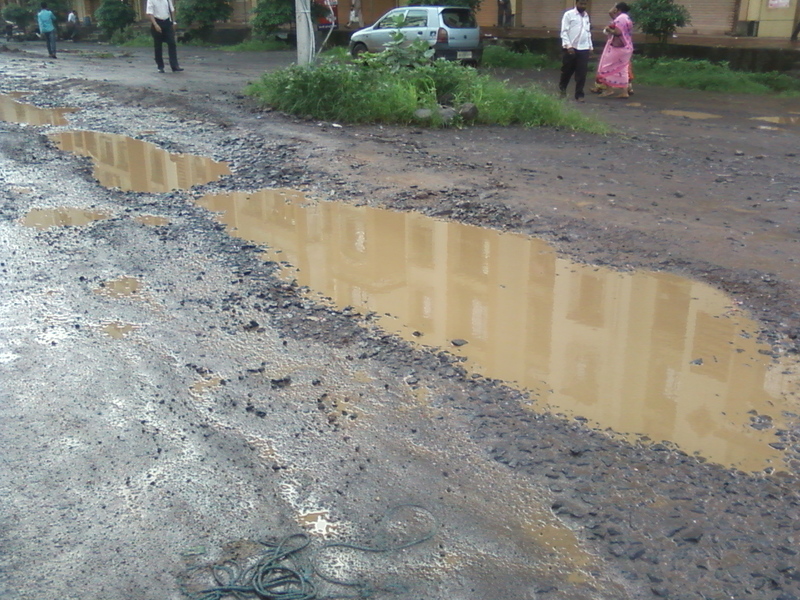 KDMC (Kalyan-Dombivili Municipal Corporation) officials…please wake up…please…!!! !